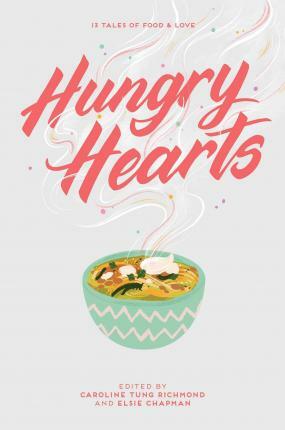 From some of your favorite bestselling and critically acclaimed authors--including Sandhya Menon, Anna-Marie McLemore, and Rin Chupeco--comes a collection of interconnected short stories that explore the intersection of family, culture, and food in the lives of thirteen teens. A shy teenager attempts to express how she really feels through the confections she makes at her family's pasteleria. A tourist from Montenegro desperately seeks a magic soup dumpling that could cure his fear of death. An aspiring chef realizes that butter and soul are the key ingredients to win a cooking competition that could win him the money to save his mother's life. Welcome to Hungry Hearts Row, where the answers to most of life's hard questions are kneaded, rolled, baked. Where a typical greeting is, "Have you had anything to eat?" Where magic and food and love are sometimes one and the same. Elsie Chapman grew up in Prince George, Canada, and has a degree in English literature from the University of British Columbia. She is the author of the YA novels Dualed, Divided, and Along the Indigo, the middle grade novel All the Ways Home, and the coeditor of A Thousand Beginnings and Endings and Hungry Hearts. She currently lives in Tokyo, Japan, with her family. You can visit her online at ElsieChapman.com. Caroline Tung Richmond is the award-winning author of The Only Thing to Fear, The Darkest Hour, and Live in Infamy, and the coeditor of Hungry Hearts. She's also the program director of We Need Diverse Books, a nonprofit that promotes diversity in children's literature. A self-proclaimed history nerd and cookie connoisseur, Caroline lives with her family in the Washington, DC, area. Visit her online at CarolineTRichmond.com.